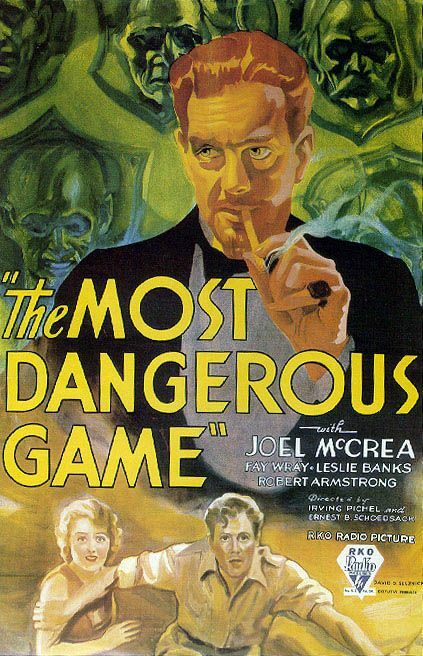 In 1932, the RKO studio waded into the horror genre with The Most Dangerous Game, a reliable Hollywood plot that would be remade many times over the decades, based on a short story by Richard Edward Connell. 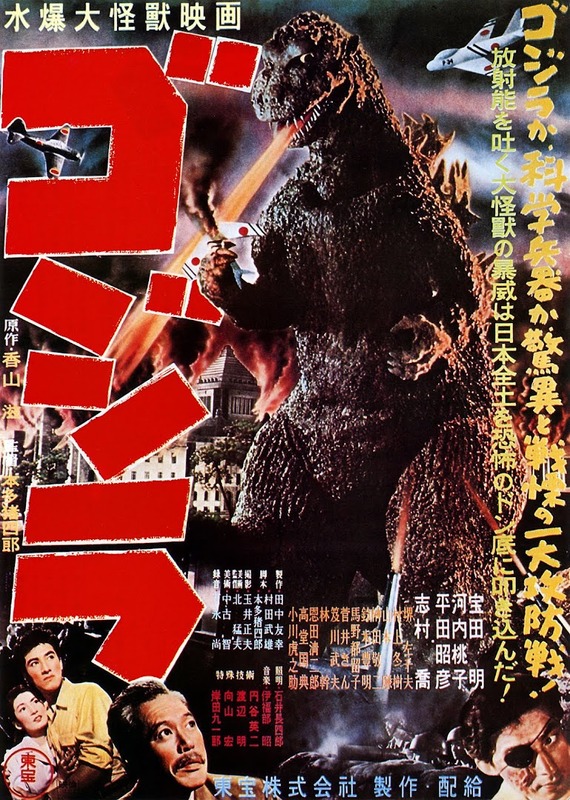 The film itself made good use of recycling as its sets and some of the cast were to be reused shortly after for the awesome King Kong. Mixing a sinister atmosphere with action-thriller overtones, the film details the evil game played by an insane Russian Count (Leslie Banks) who ensnares ship-wreck survivors onto his island in order to hunt them to death for his own sickening sport. It’s a pleasing, fat-free 62 minutes of perverse fun, plunging us almost literally into a prologue for our hero Joel McCrea (later achieving fame with Sullivan’s Travels and Hitchcock’s Foreign Correspondent). McCrea is Bob Rainsford, a handsome, none-too cerebral big-game hunter and writer devoid of sympathy for the creatures he hunts. Controversially, he claims in recounting one adventure to his friends on board a ship that his quarry, conveniently anthropomorphised, enjoyed the sport as much as he did: “As a matter of fact, we admired each other” - (forgetting the small matter of the disparity between each sides’ resources for one thing). Rainsford sees society as made up of either being the hunter or the hunted – and soon he will get to test that hypothesis from the other side. Using excellent model-work, the ship is wrecked by the coral reefs the party were warned about by the Captain. We see some of Rainsford’s friends picked off by opportunistic sharks, already proving his point, while he is washed ashore on an island as the sole survivor. He makes his way to a chateau, observing that the shore lights have now changed. Something macabre is afoot, a feeling amplified by the chilling knocker on the iron door of a figure cradling a woman, whether captive or saved damsel we do not know - but the arrow piercing his chest foreshadows mortal combat to come. 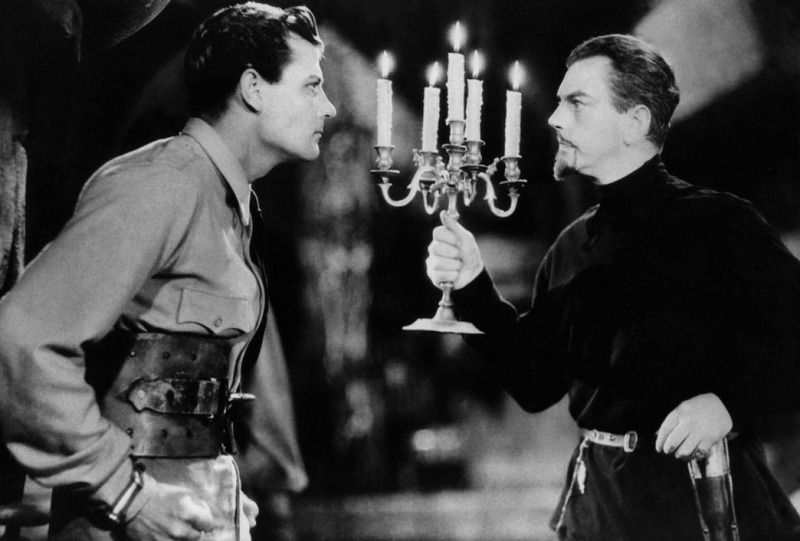 Rainsford finds himself accepted immediately as the house-guest of Count Zaroff, the aforementioned noble, an elegant émigré of the Russian Revolution. Banks enjoys himself in the role, channelling his English suavity into a Russian (and occasional Scottish?) no doubt picked up in his classical stage work which would lead him to Olivier’s film of Henry V in 1944. Zaroff’s warm sense of hospitality clashes with an odd intense stare, matched only by that of his mute cossack man-servant Ivan (Noble Johnson). A welcome glimmer of dark humour is offered when Zaroff bullies Ivan into smiling for his new guest. The hench-man’s mouth cracks into an oddball grin totally at odds with the fierce eyes above them. Finally, Zaroff gets his comeuppance in battle after thinking his attack pooches have dispatched Rainsford off a cliff. Even at the last dying breath, he tries in vain to still be the big game-hunter.